A few months ago, I introduced you all to the latest theme to come to the Nerd Block collection: Dr. Who! Unlike other Nerd Blocks, this particular block is a bi-monthly subscription... but I assure you when you see what's inside you'll agree it's well worth the wait! So... what are we waiting for!? Let's look inside! 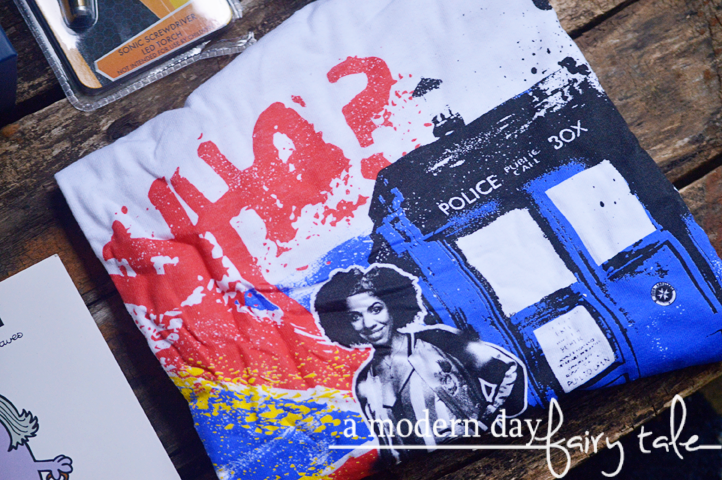 Dr. Who Tee. This is the one thing you can always expect to find inside your Dr. Who Block... a fun, new t-shirt. The design will change each month, but you'll always have a new one coming! Sonic Screwdriver LED Torch. Now, you may recall there was another in last month's block as well, but this is a different one- based on the 12th Doctor's Second Screwdriver. 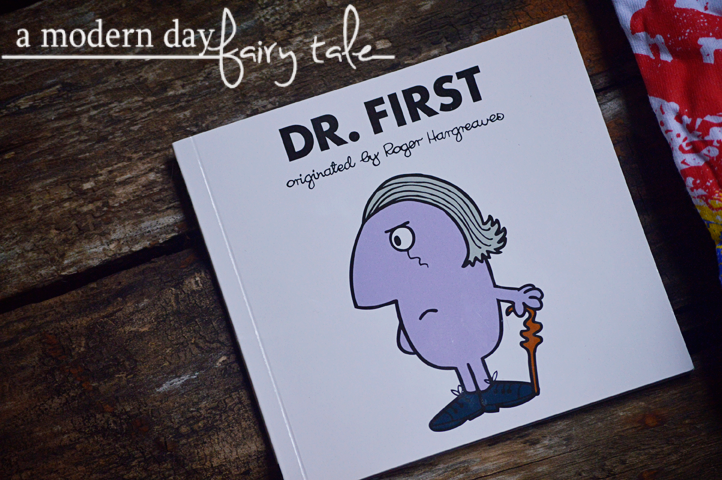 Dr. First Book. 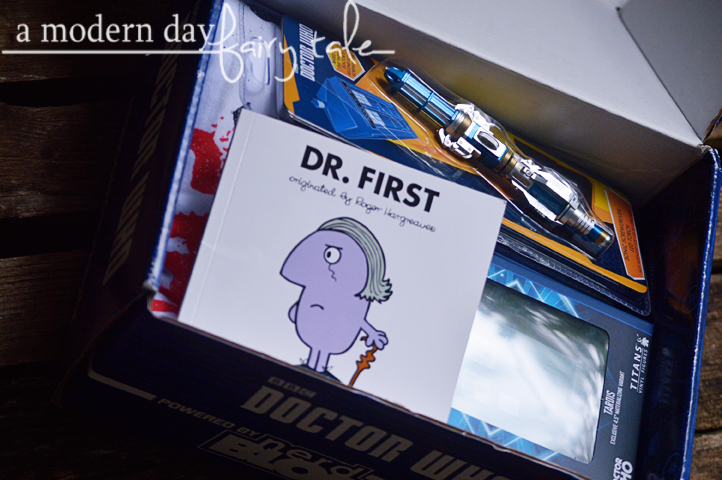 My kids LOVED this book and they aren't even big Dr. Who fans! It is definitely a really fun addition to every Dr. Who Collection. Tritan Water Bottle. 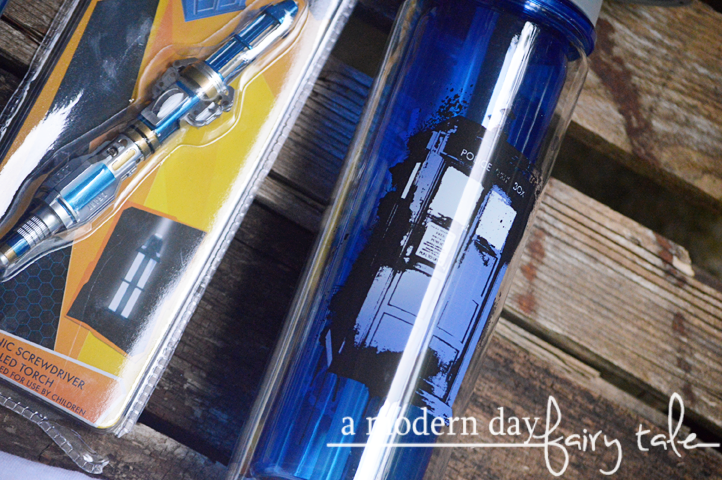 This is perhaps my favorite item in this latest block... really great design for every Whovian to share their love of the Doctor on the go...and great quality too! 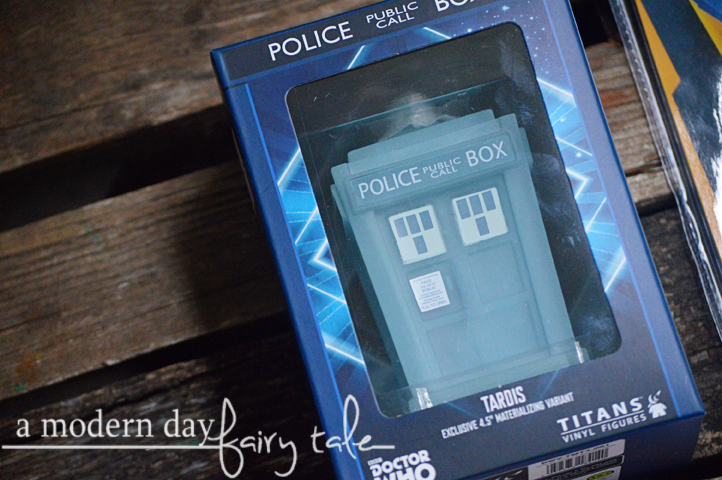 Tardis Exclusive 4.5" Vinyl Figure. Another really great addition to every collection! Most of my friends are fanatical Whovians. This would be such fun to share with them. My girls and I love watching Doctor Who together. It's one of the few shows we can all agree on. 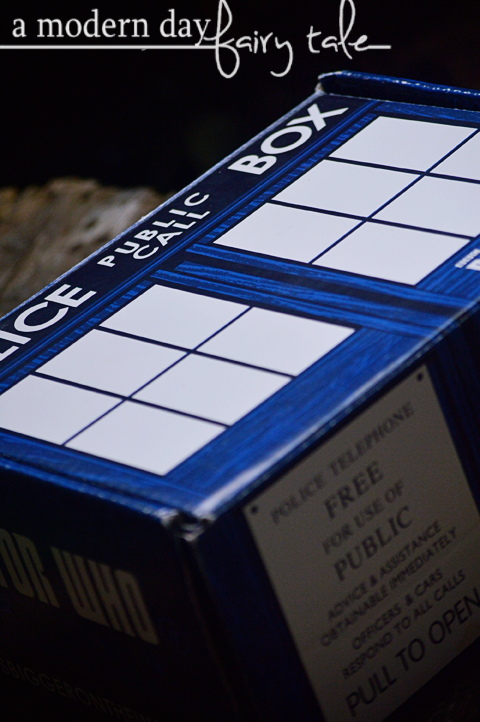 Ideally, the box would be bigger on the inside than on the outside, right? Our son in law would especially love the items in this box. My kids love dr who. I am a HUUUUGE Whovian & proud of it!! My blog header even has a tribute to my favorite Doctor. I actually did not know about this new block so I'm kind of freaking out right now! My son loves Dr. who! I think he has seen them all! I have been watching the doctor since around 1980. This would be so fun to do. I would like to try this. My brother would love this and he loves to watch Doctor Who. My daughter loves Dr Who, I would love to win something for her. This would be a great present for my brother. My son is a big fan of Dr Who! This would be a lovely surprise for him! We all love Doctor Who here! My favorite is still David Tenant (the 9th doctor), but I'm really looking forward to meeting the new female doctor! We love doctor who at my house. I would love to win this for the Dr First book. If I won this my whole family would be fighting over it. But I feel like there would be something for each of us. Thanks for the chance. I love doctor who. I've been a fan for a while and can't wait for the new Doctor! My husband would like this! He is a fan. My husband and son are big fans of Dr. Who! Love Dr. Who, thanks for the chance! My daughter loves Dr. Who. I haven't purchased a subscription box for her, but I love getting them!